This is the last time that your child will be a high school student and they deserve to go out in style. We know that your senior will never get another shot at graduating high school and the memories that are created will last a lifetime. Treat your senior and a group of their friends to a party bus that seats 20. I know the graduates want to party and we can take them to all of the graduation parties safely which means less stress for the parents. 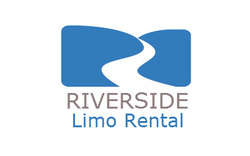 Riverside Limo Rental has a great sound system, soda bar and decorations for the graduates and their companions comfort and delight. Parents will be happy to know that our chauffeurs priority is to make sure that all the young adults are safe at all times. Our chauffeurs are respectful, responsible, and their appearance is always up to par. Our drivers will make sure your precious cargo is treated like a VIP and their safety is number one. To us VIP means treating you like you are the most important person in the world, and are drivers are trained to make your experience first class. When you ride with us you will never want to go back to the normal way of transportation because we will give you an experience you will never forget. So no matter the occasion or event, graduation, party or dance, we have the limousines to accommodate any event. Just pick up the phone and give us a call so we can take care of all your travel needs. Your party bus reservations can be made 24 hours a day/7 days a week and last minute reservations are always welcome. We are competitively priced and our customer service can not be matched.